Lymphedema is swelling generally in the arms or legs due to a blockage in your lymphatic system. The lymphatic system collects lymph (excess fluid, proteins, and other substances) from the body tissues and carries them back to the bloodstream. Lymphedema occurs when the normal drainage of fluid is disrupted by a blockage or a cut in the lymph nodes in the groin area or the armpit. 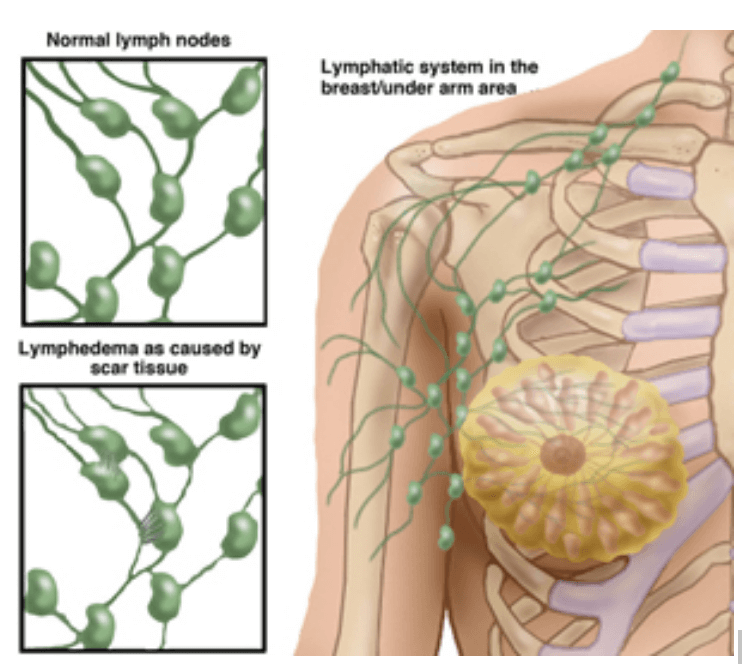 Lymphedema can be a hereditary condition, but it’s most commonly the result of blockages caused by infection, cancer, and scar tissue from radiation therapy or the surgical removal of lymph nodes. At Advent Physical Therapy, we have physical therapists specially trained to help you manage your pain and swelling from lymphedema. Want to know how physical therapy can improve your level of comfort and ability to participate in the activities you enjoy? Contact Us Today at Ada, Byron Center, Caledonia, Grand Rapids, Grandville, Hastings, Rockford, Walker, Kentwood & Jenison, MI Centers. to schedule your consultation and start down the road to a better quality of life today.